OEC founding member, Helen Black (1924-2018), worked her whole life toward a cleaner, more beautiful Ohio. When the Cuyahoga River burned, Helen wasted no time to take action and bring a small group of dedicated activists together to figure out what they could do to clean up Ohio’s polluted waterways. Helen played a vital role in growing the OEC from an idea to the environmental powerhouse it is today. 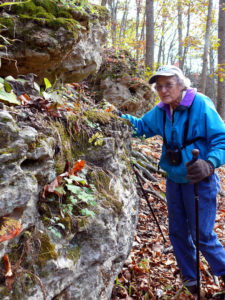 Her love for the natural world was instilled in her three sons and the hundreds of OEC alumni she taught how to care for the land they depend on. Whether you knew Helen or not, everyone in our state has benefitted from her vision, passion, and expertise and the legacy she left will continue to inspire us for many generations to come.